At George Street Primary School, we have a vision to provide a curriculum and learning experience that is active, engages teachers and learners, breeds confidence, is learner-led and incorporates problem-solving and thinking skills. In providing this, we will ensure that learning truly does come alive. 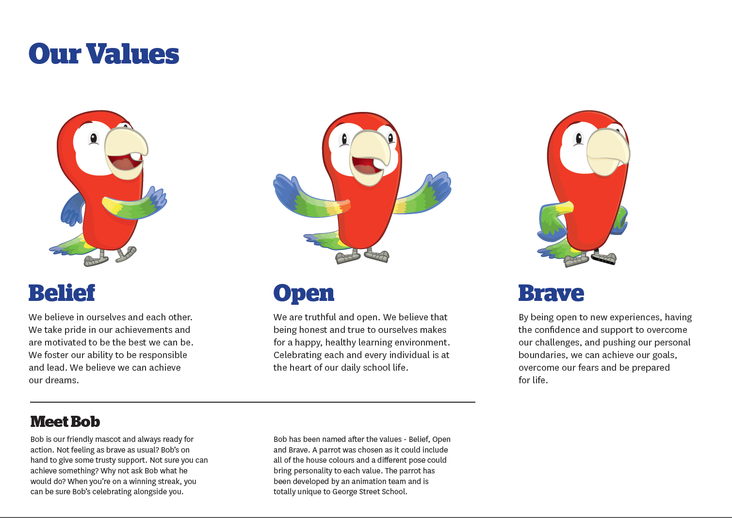 So - BOB, who is characterised by our parrot mascot.